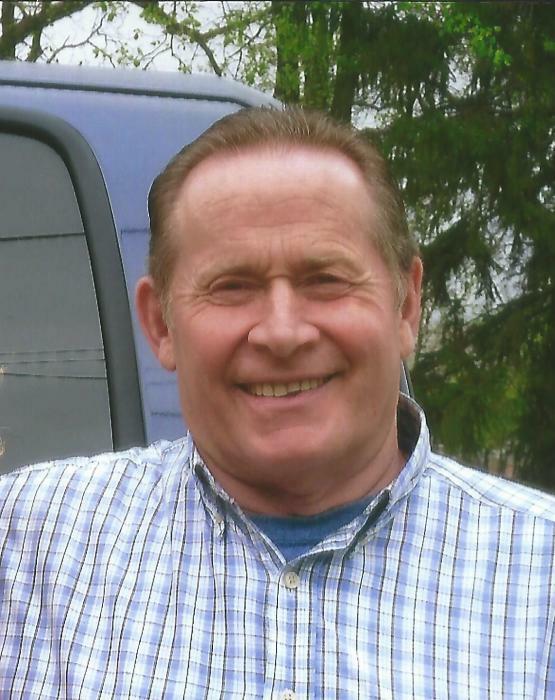 Dean Phillip Schmunk, 73 of Chetek passed away at his residence Sunday, May 6, 2018 with his loving family by his side. Dean was born April 8, 1945 to Kathryn and Orville Anderson in Rice Lake, Wisconsin. Dean graduated from Chetek High School in 1963. After graduation, Dean moved to Aurora, Illinois where he worked for the Caterpillar Tractor Company for 30 years where he was a foreman. After retirement, Dean returned back to the family farm. Dean did hobby farming and raised beef cattle. Dean married his best friend, Cindy Anderson on November 3, 2006. Throughout his life, he loved to golf, fish, hunt and work alongside his son Randy at his shop. Dean was an avid fan of NASCAR racing. Dean had a beautiful voice and enjoyed singing karaoke. Dean enjoyed conversation with everyone and never met a stranger. Dean is survived by his wife Cindy, son, Randall (Candice) of Chetek, daughter, Denise of Wisconsin and one sister, Nancy Hall of Texas, grandchildren, Danielle, Devan, Kyle, Cody, Issac and Elliott. He is also survived by his mother-in-law, sister and brother-in-laws, numerous cousins and an array of nieces and nephews. He is preceded in death by his grandparents, father, Orville Anderson, mother, Kathryn Schmunk, stepfather, Alex Schmunk and a sister Joanne. Dean will be missed by all who knew him. Funeral services will be at 12:00 P.M. Thursday, May 10, 2018 at the Funeral Home with Pastor Noel Cisneros officiating. Family and friends may gather from 10:00 A.M. until the time of the service. Interment will be private. Please join the family for continued fellowship and a luncheon after the funeral at Cameron House in Cameron, WI.